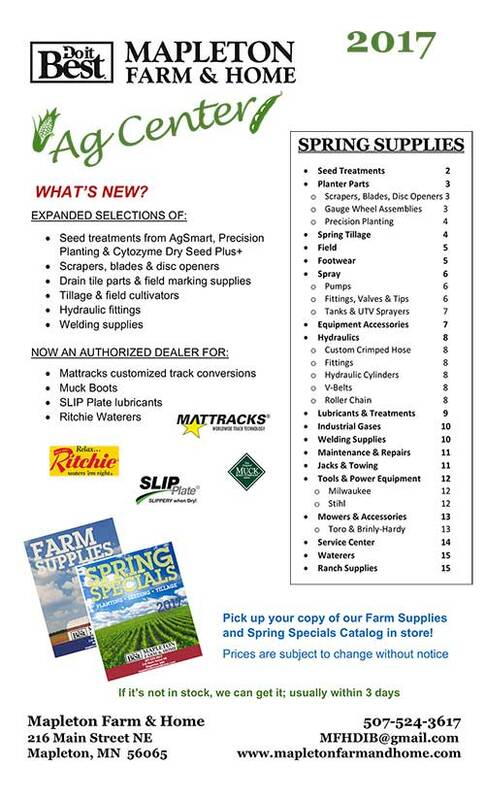 The Ag Center at Mapleton Farm & Home is a winning combination of quality products you want with quick delivery you need. Many parts in are stock, and most special orders come in one day. Our SMA “AgSmart” network has over 30,000 parts ready to ship from 5 national distribution centers! Check with us first for sprayer, tillage, planter, combine and chopper parts. 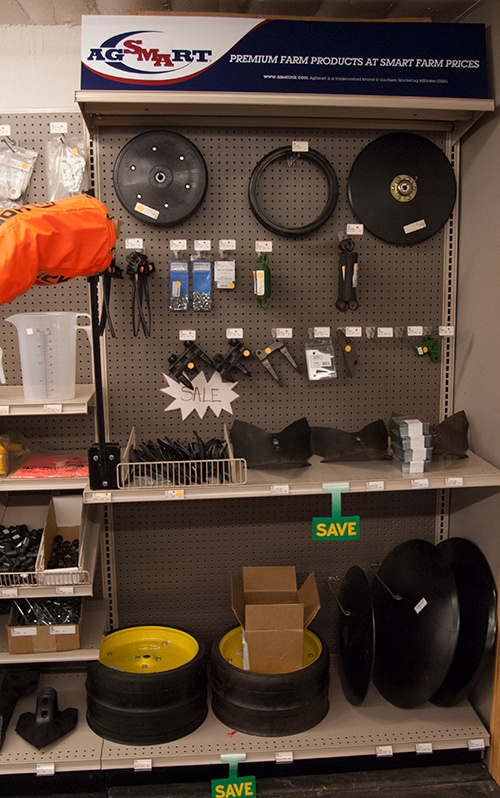 Don’t forget about hardware, fasteners, lights and electrical components. Save time and money by shopping at one convenient supplier with access to wear parts for your tractor, machinery and implements. Premium farm products at Smart Farm pricing!